Getting fit doesn’t necessarily mean spending countless hours at the gym or in spin class, counting the minutes until you hit your mark so you can go home and watch Netflix. So, if you’re looking for new and fun ways to get your blood pumping, and feet jumping, we’ve compiled a list of the freshest work out classes around the world sure to get you going. 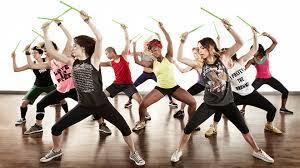 Former drummers and Co-founders, Kirsten Potenza and Cristina Peerenboom, fused their passions for fitness and music and created Pound, a full-body cardio workout that uses lightly weighted “drumsticks” called Ripstix. Each class fuses Pilates, isometric movements, and plyometrics with constant simulated drumming to sculpt muscle and torch up to 900 calories in 45 minutes. Also, don’t worry, you don’t have to be a musical genius to get behind these rhythms, they’re fairly simply and set to calibrated songs, so you can easily follow. Originating in London, Seen on Screen teaches troves of women steps and choreography from their favorite music videos. With specialty classes offering Beyonce, Britney, & Pussycat Doll routines, you’ll make sure to release the inner vixen inside of you, in a supportive and encouraging environment. Another craze taking over the world, especially in women’s fitness, is pole dancing. A pole can provide more than a provocative striptease—experts say pole classes are sweat-inducing, super-effective workouts, with the extra bonus of learning how to show off your curves and flaunt your body. Pole dancing enhances flexibility, tones your body, and builds strength as well as confidence. You might have heard of Barre classes, but have you heard of Barre Cardio Fusion classes? This new style of barre is livening up the traditional ballet-inspired workout by adding an extra cardio element. In these barre-cardio fusion classes, you’ll sculpt lean muscle, slim down, and get your heart pumping by moving through high-intensity moves followed by brief moments of active recovery. If you’ve ever been to a Cirque Du Soleil show, and thought about how fun it would be to do those tricks, then aerial classes are for you. The new wave of circus-inspired workouts, from aerial hoop classes to trapeze and even aerial yoga, these classes promise increased flexibility and strength, and are also a great core workout. Definitely something to try with friends. If you want to get down and dirty, Animal Flow by Mike Fitch in partnership with Equinox, is for you. The workout taps into your primal instincts to get your body moving in ways you’ve never experienced before. You’ll go through a series of functional bodyweight movements that fuse Parkour, gymnastics, capoeira, acrobatics, and breakdancing, while simultaneously staying low to the ground and engaging multiple muscles at once. But don’t think this is child’s play, this workout will have you dripping sweat on the floor. Any CrossFit-er would recognize weighted ropes, but this is a workout specializing on the “art of undulation,” or creating a wave-like pattern in the rope with your body. You’ll work every muscle, especially your core, improving coordination, while reaping cardiovascular benefits, and increasing metabolic strength. In addition to that, this workout is highly effective and low impact, so it’s safe for anyone from newcomers and injured athletes to decided gym-goers.